The standard treatment for colon cancer involves oncological resection of the tumour with adjacent mesentery and lymphatics. A small subset of patients with colon cancer have concomitant abdominal visceral arterial disease and rely on abnormal collateral circulatory pathways to maintain blood supply to the digestive system. 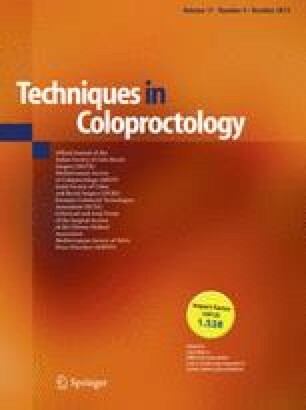 Colonic resection in these patients presents technical challenges, as disruption of a collateral vessel can induce visceral infarction. We describe a case of severe visceral arterial occlusion and synchronous colon cancer where routine colectomy would precipitate disastrous consequences. A 78-year-old woman was diagnosed with 5 synchronous adenocarcinomas of the colon following a colonoscopy to investigate abnormal liver function tests. She had no abdominal pain. Her past medical history was significant for hypercholesterolaemia and she was a cigarette smoker. She was taking low-dose aspirin as a daily medication.